The new LEGOLAND Discovery Center Columbus opened last week and for LEGO-lovers of all ages, it’s worth making the short drive down to Columbus. 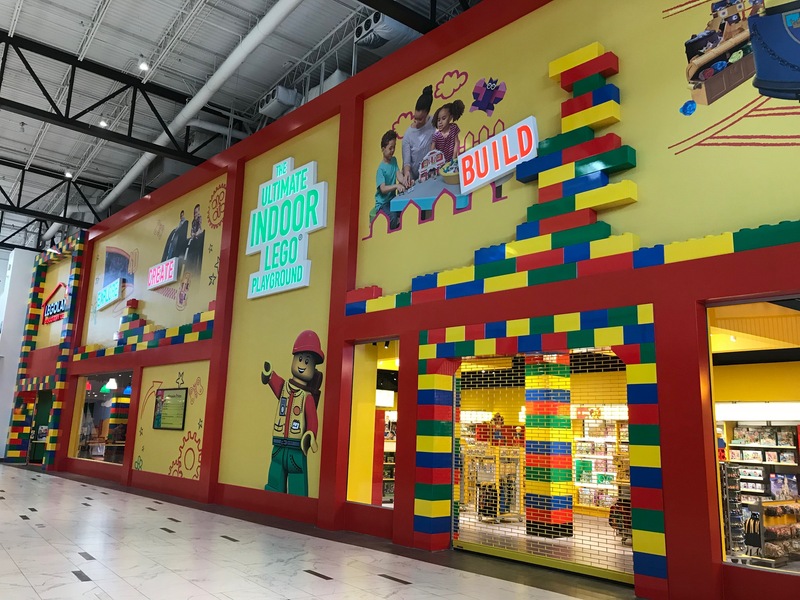 Located inside the Easton Town Center complex, LEGOLAND Discovery Center is a two-level, 36,000-square-foot indoor attraction designed for families with children ages 3-10. However, older kids who still love building LEGO bricks will also enjoy the experience — and I even saw a few parents getting into the action, too. My boys, ages 5 and 2, are big LEGO and DUPLO fans, respectively. My husband and I also have LEGO sets we’ve saved from our childhood, so family building sessions are pretty common in our house. We all were happy to take a day trip down to Columbus to check out the new attraction, which features two themed rides, a 4-D Cinema, 10 LEGO play zones, a soft play area and climbing structure, and more. The first stop is a LEGO Factory Tour, where kids used a joystick to create their own virtual Minifigures and got a brief lesson in how the little bricks are made. The hallway then leads to the Kingdom Quest ride, which is part video game and part adventure story, as each rider shoots targets to rescue a princess and save a baby dragon. Following along the route, visitors are then led through Miniland, an awe-inspiring LEGO model featuring well-known buildings from Columbus, Cleveland and Cincinnati. Several stations with buttons and controls let kids move aspects of the interactive cityscape. The whole room also alternates between day and night, so the scenes become aglow with lights and fireworks as dusk settles. After this, the largest space in the facility welcomes families to choose the activity best suited to their child’s age. Here’s where you can find the play structures; 4-D theater (complete with wind, fog and rain — an experience that was very new to my kids); Merlin’s Apprentice ride; and many LEGO building stations including LEGO Friends, DUPLO Village, LEGO Racers: Build & Test (which is where we spent the most time, as my boys love anything with wheels), and Earthquake Tables, where young engineers can test the stability of their own structures. There’s also a cafe, party room, and Creative Workshop, which houses sessions where kids can learn insider tips and tricks in their quest to become master builders. My family really enjoyed our visit. Because the attraction is new, it did fill up fast. However, with the natural flow of traffic and the timing of rides and events, I never felt overcrowded. LEGOLAND Discovery Center Columbus is open daily from 10 a.m.-8 p.m., with the last entry at 6 p.m. (plan to allow for 2-3 hours for your family’s visit). For more information and to purchase tickets online (which guarantees entry), visit columbus.legolanddiscoverycenter.com. Follow the Northeast Ohio Parent Facebook page for a chance to win tickets to LEGOLAND Discovery Center Columbus. The giveaway will happen later this month! Next article Last Year’s Halloween Candy: Toss or Treat?